Hello my name is Matthew Dunshea. Thank you for checking out our website. I know that you have a few questions: Can these guys offer what I need and can I trust them? This website will hopefully answer those questions. Please check out our video section, our review section and then feel free to fill out the contact form. Or just give us a call on 214 453 3400 or 817 380 3544. We’d love to hear from you! Our goal is to honor the trust that you place in us. 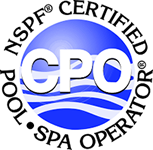 If you are looking for help keeping your pool clean, or need some repairs to your pool equipment, then please give us a call. We have weekly service plans that start at under $130 per month. 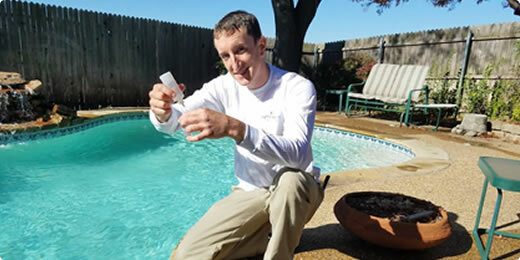 We can tailor a plan to meet most budgets and work hard to provide a reliable service that keeps your pool clean & clear week in and week out. 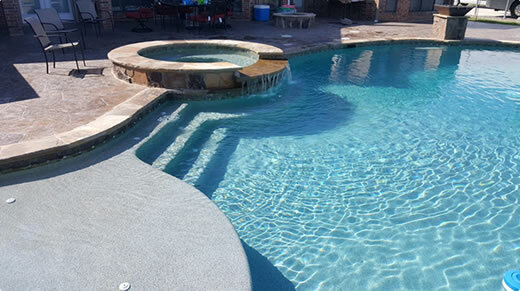 We recently had repair/remodel work done on our pool by Integrity Pools. From the original estimate through the last day of plaster care the service was excellent. 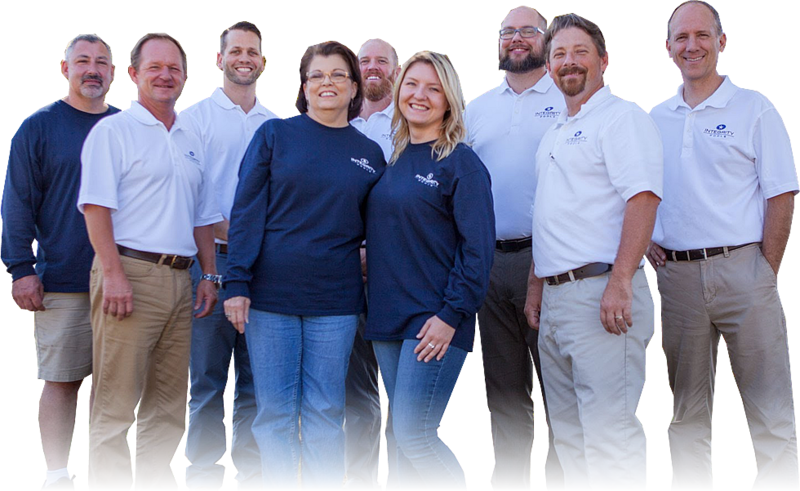 Every member of their team was courteous, hard working, and efficient. Communication about and during the process was excellent, from Monica in the office providing arrival times through Eric doing plaster care. The manager of the project, David Presendofer, served us very well, from scheduling the job elements to making sure everything was done with excellence. Although we did not meet the owner, we believe that his business name reflects his business objective of doing work with integrity. Our thanks to the owner Matthew Dunshea! We are highly satisfied with the results and would recommend this company without reservation. 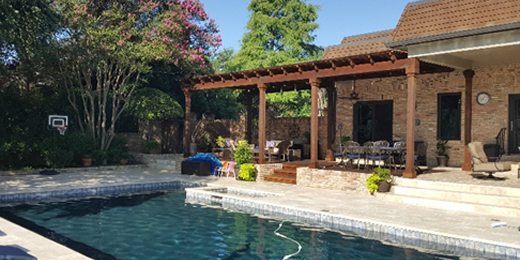 Integrity re-plastered our pool 7 years ago and renovated tile, deck and plaster recently. They did a great job ahead of schedule with minimal impact during the project. Great working with John, David, Matt, Jordan, Spencer as well as Matthew. Excellence with Integrity. It’s the name of the game. Watch this video to hear some of our team discuss what drives us.